The Southborough Library is hosting another “Crafternoon” led by popular crafter Mandy Roberge of Wicked Good Henna. This time, the focus is on Clipboard Makeovers. 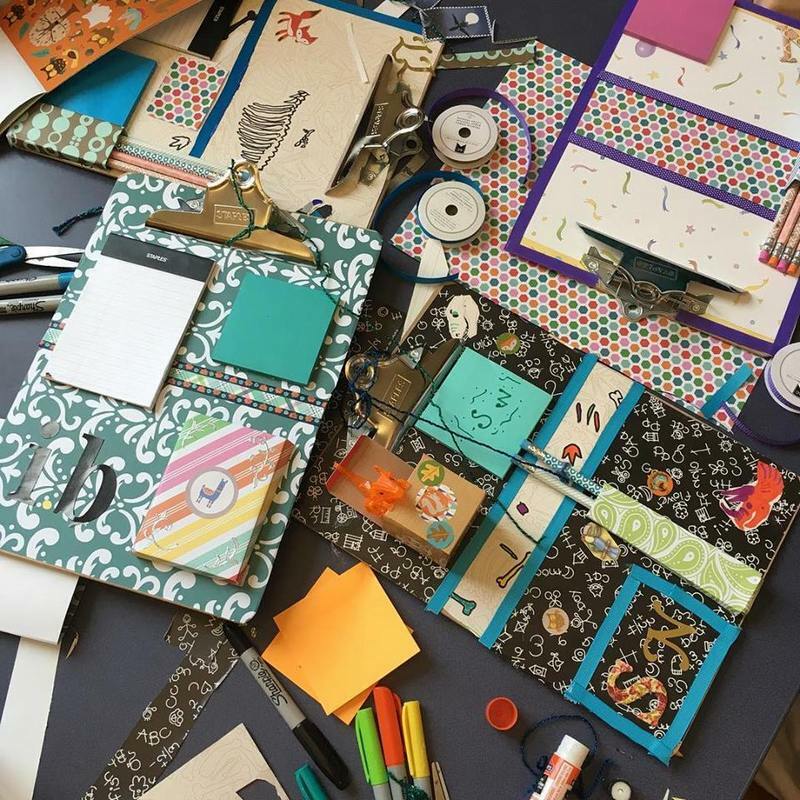 The free craft series is geared to tweens and teens. 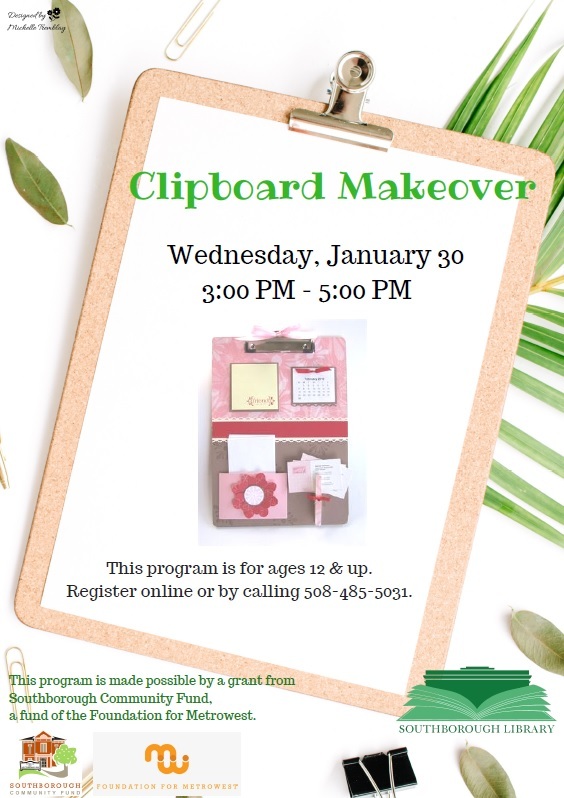 The Clipboard session will take place on Wednesday, January 30, from 3:00 – 5:00 PM. 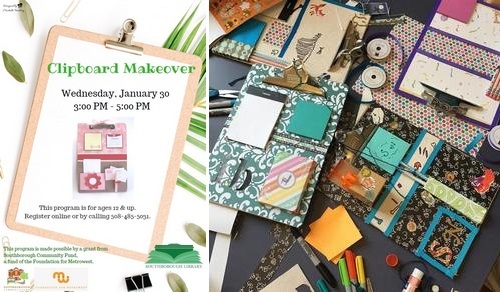 Get creative, get organized and have fun repurposing clipboards! . . . Registration for this event is required. The program is limited to 15 participants. . . This event will be held upstairs in the Main Floor space. This event is for participants ages 12 years and up. The Library posted an online registration page. To sign up, click here. Updated (1/17/19 7:55 am): I should have noted – you can also sign up at the Front Desk or by calling 508-485-5031.